American skiing sensation Lindsey Vonn achieved her 50th World Cup victory earlier this month in Germany. Lindsey Vonn is one of the biggest names in Alpine Skiing and has won events in Downhill, Super G, Slalom, Giant Slalom and Super Combined, making her one of only five women to have won World Cup races in all five disciplines of Alpine Skiing. 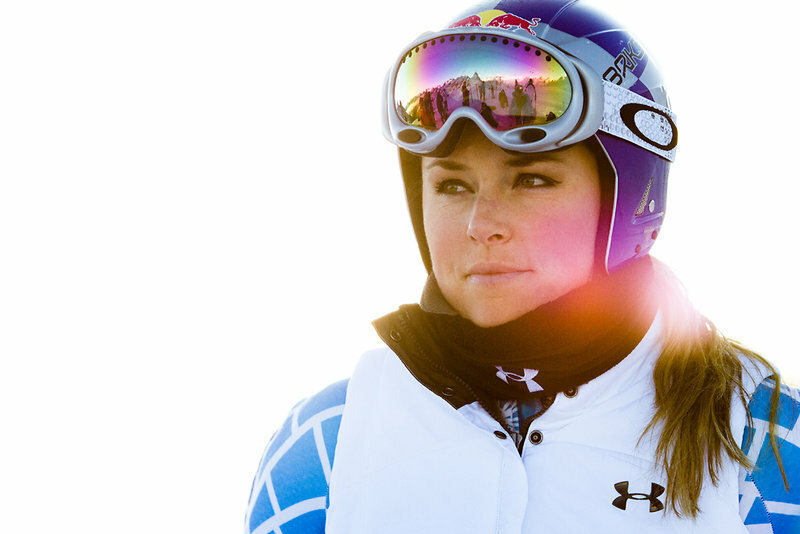 At work, the lovely Lindsey Vonn will always be seen wearing Oakley Goggles (below) to get the job done; but even when she’s not bolted to two planks and plummeting down the slopes at break-neck speeds, she’ll always be faithful to her sponsor. Lindsey can often be seen wearing various models of Oakley Women’s sunglasses. 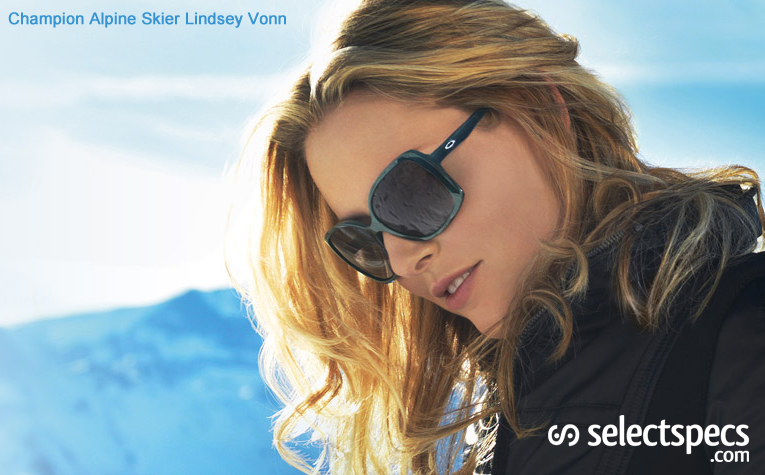 Lindsey is the current cover girl for the Oakley Women brand on Oakley’s own website (as pictured above). Here she is seen wearing the Oakley Women Beckon sunglasses model in a smashing Crystal Turquoise colour frame with Black Grey Gradient Lenses – OO912502. Just like Lindsey herself, these Oakley frames look absolutely stunning.